Chilly experience raises more than $300. 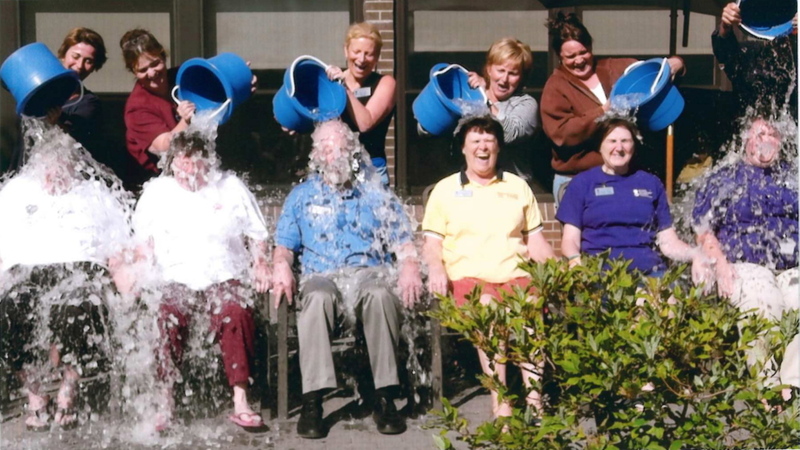 The Maine Veterans’ Home recently participated in the ALS ice bucket challenge and raised more than $300. Maine First Lady Ann LePage and humorist Gary Crocker attended the event. From left are staff members Leslie Pelletier, Lisa Brann, Deb Fournier, LePage, Emily Kane, Crocker. Seated, from left, are staff members Nicky Wight, Judy Fortin, Kelley Kash, Gail Hillstrom, Becky Thayer and Cathi Seraph.